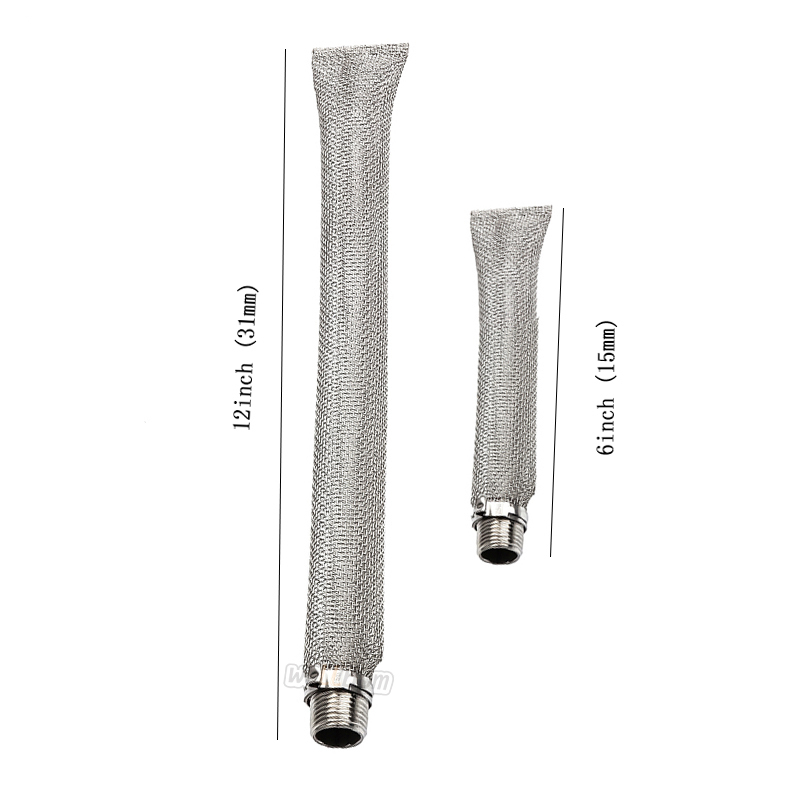 This filter is designed for homemade brew, which can hold hop to reduce impurities and enhance filtration level of fermentation broth, so as to ensure purer taste and aroma. 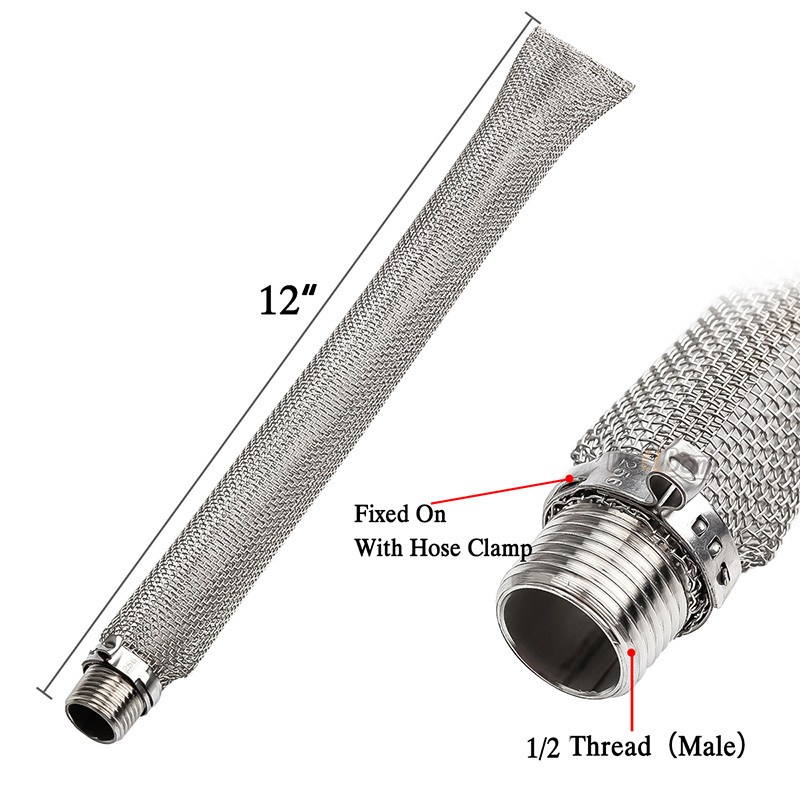 With thread connection, fit for your keg, kettle or pot. 1-- 6" / 12'' mashing/boiling bazooka kettle screen. 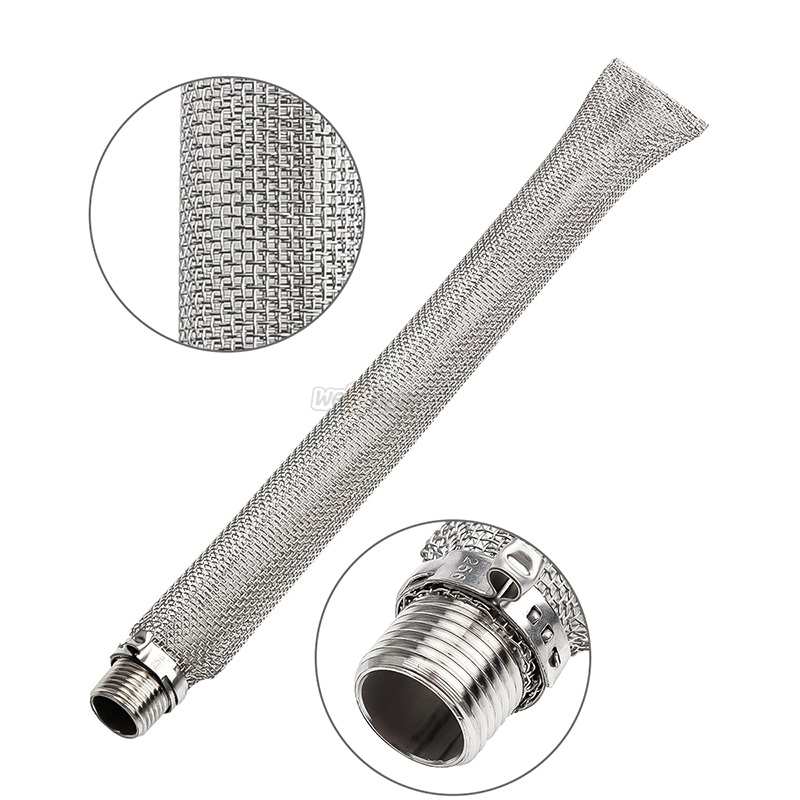 2--304 stainless steel mesh screen,smooth surface,heavy duty,last forever. 3--Used for straining hops in a boil or in mash tun replace a false bottom. 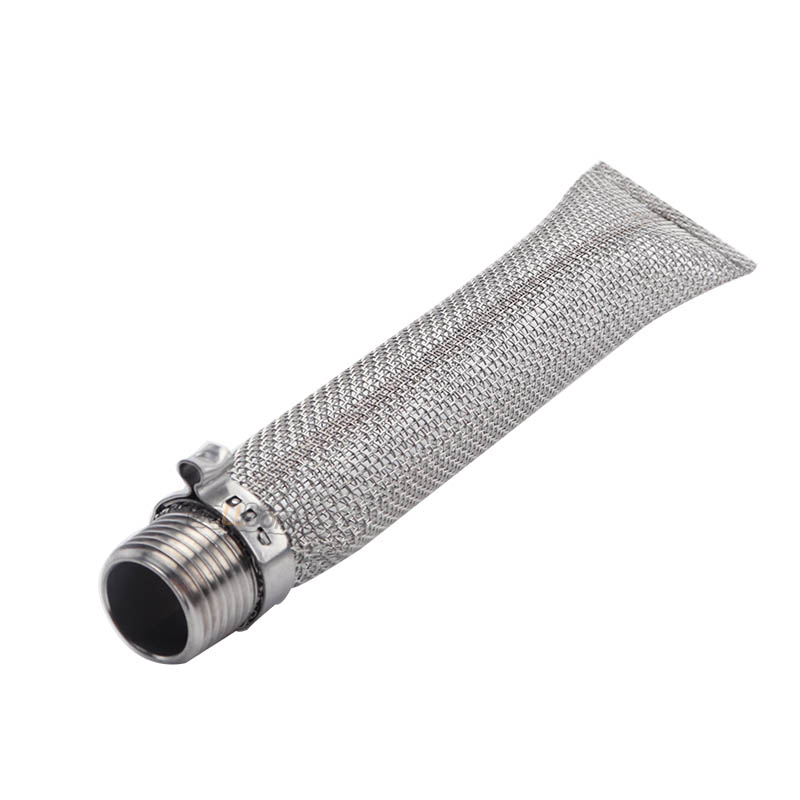 4--1/2'' MPT fitting on the end to fit brew kettle or any line of weld less ball valves. 5- The screw directly inside 1/2'' female NPT coupler to turn any pot into a mash tun,or used to filter out whole cone hops in the boil kettle. 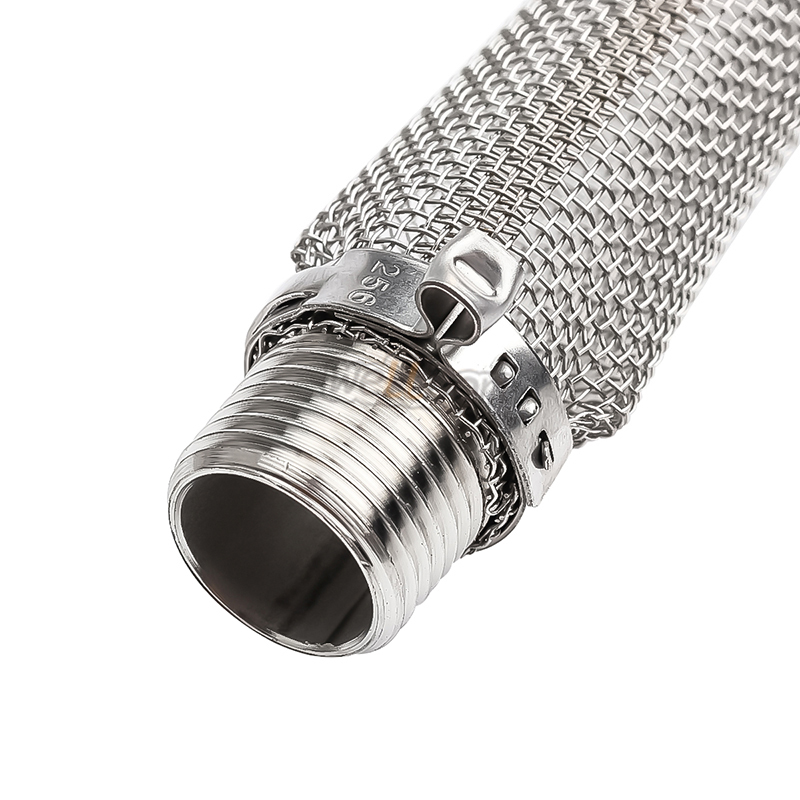 6- All stainless steel construction with 1/2'' Male NPT inlet to attach to a female 1/2'' coupler. 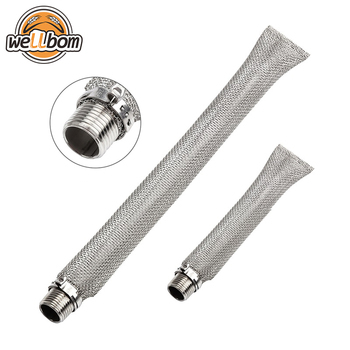 7- The filter is made of stainless steel, safe, corrosion resistant and easy to clean. 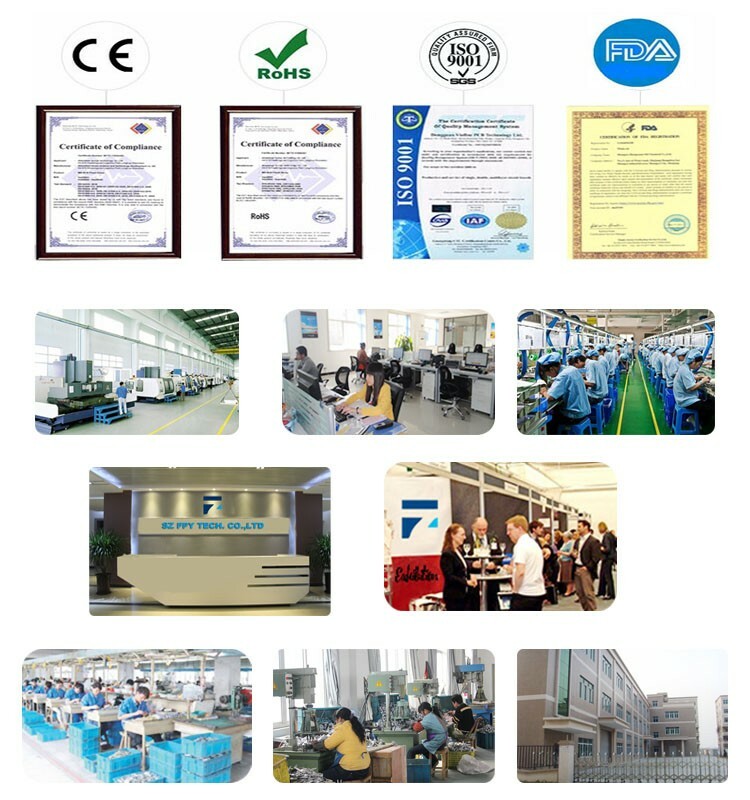 8- Features acid and alkali resistant, anti corrosion and long lifespan. 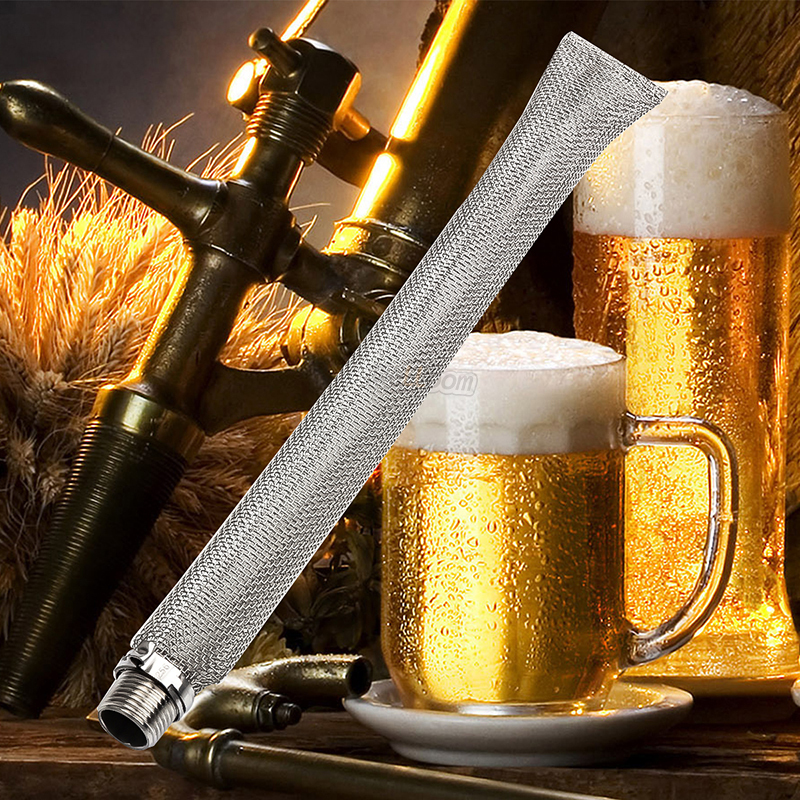 9- Refined stainless steel mesh ensures purer taste of the drinking. 10- The filter can be used to contain hops when boiling wort, helping to reduce impurities and enhance filtration level of fermentation broth. 11- Thread connection makes it easy to attach inside brewing kettle.